did you add a plug into the fuselage Geoff ? Yes, there is a fuselage plug aft of the cockpit. 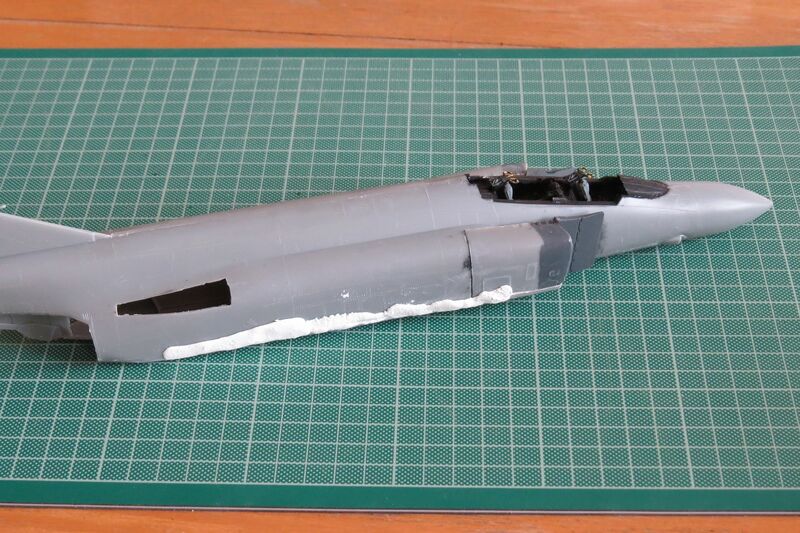 I boxed in the matchbox central fuselage so I could do it deeper strengthen it and proved space for the main landing gear, I also removed the spine so I could fit the VG wing box and then re-fitted the spine. So I had a bit of a break from this due to a death in the family so here`s a bit of an update from today. Thanks all for the input as well although I`m a bit gutted that Geoff`s version has exactly theww same scheme I was going to go with. May change that now. First photo shows my first attempt at using Milliput as my preferred Squadron Green seems to have gone a bit weird in recent batches(?) 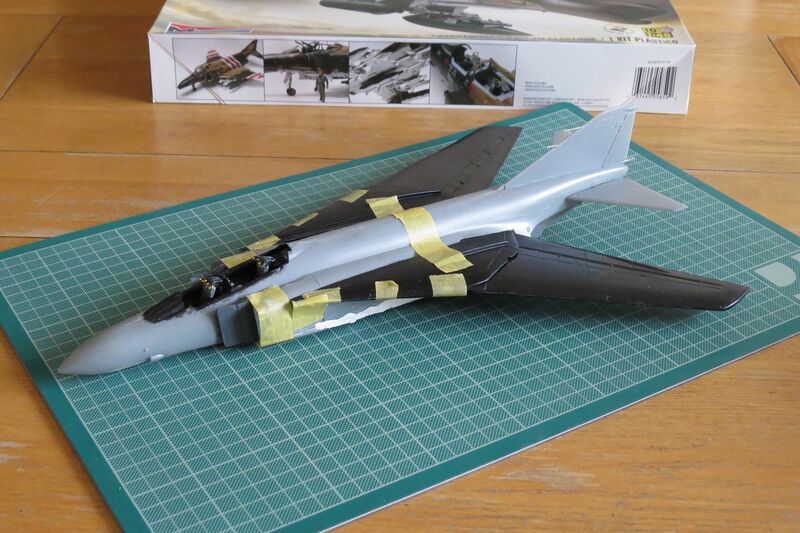 so thats the gaps plugged and will just need to shape it all out.You will also note the slots cut out for the folding wings which with should hopefully be enough clearance for the engine and exhausts. The rest of the shots show the shape of the aircraft once all the main components are in place. More soon and thanks for looking. 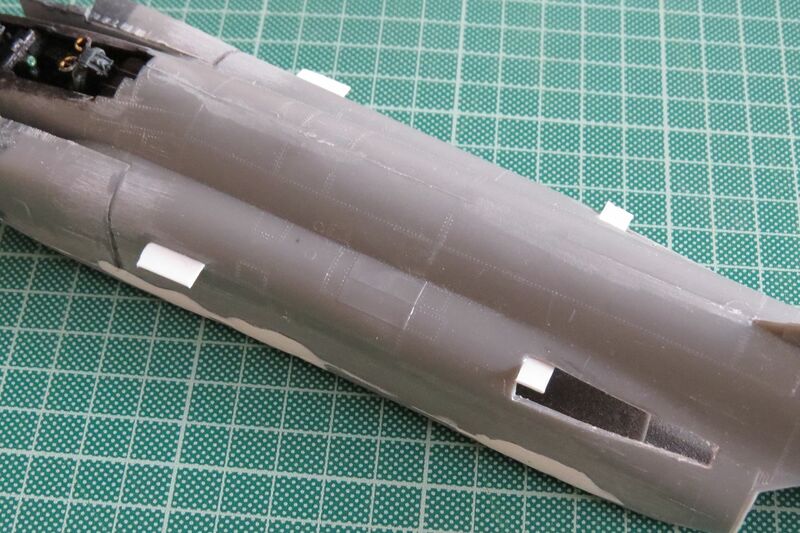 Might be easier to switch the forward fuselage sections. 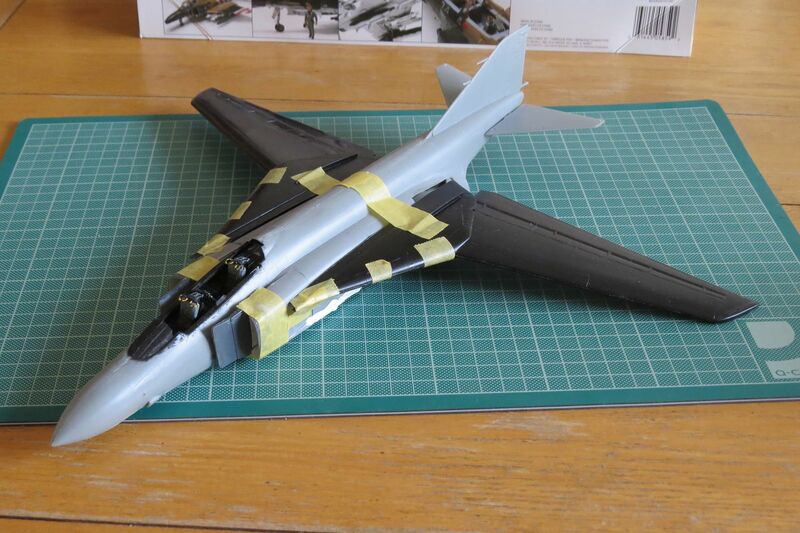 My thoughts as well, with a little Su 24 thrown in ? 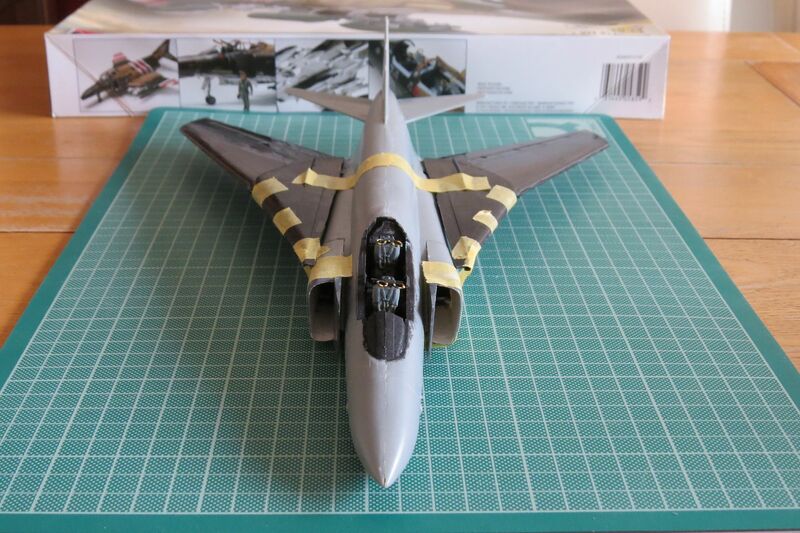 `Installed` some guides for the wing areas today so that when it comes to fitting the wings they will at least be straight`ish! First time using Milliput and can safely say I need more practice. It went everywhere, although in my defense, the gaps were quite large with lots and lots of sanding going forward.....! It took me a while to get used to Milliput as well. Although I now remove the bulk of the "extra" amount with a sponge and water.